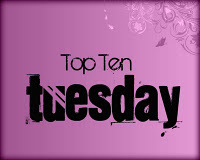 Today’s Top Ten topic over at The Broke and The Bookish is a Top Ten Rewind. What is that? It means that you get you pick a past topic which you either didn’t do or you want to add to. I decided to go with Top ten Book Quotes. I am not sure if this was initially quotes from books or quotes about books but I made an executive decision (one of many this week) that I was going to go with quotes about books because there are so very many I love. 7. “Sometimes, you read a book and it fills you with this weird evangelical zeal, and you become convinced that the shattered world will never be put back together unless and until all living humans read the book. What a great list of quotes. Thanks for sharing.